“THEY ALL CAME TO DIE!” Six strangers are summoned by a mysterious man to an isolated island. There, each finds a note accusing them of murder and warning them that the penalty for their crime is death. 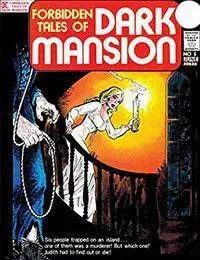 As suspicion mounts and people begin dying, they must discover who brought them to the island and why.<br />Note: Forbidden Tales of Dark Mansion (1972) #5 continues from The Dark Mansion of Forbidden Love (1971) #4.